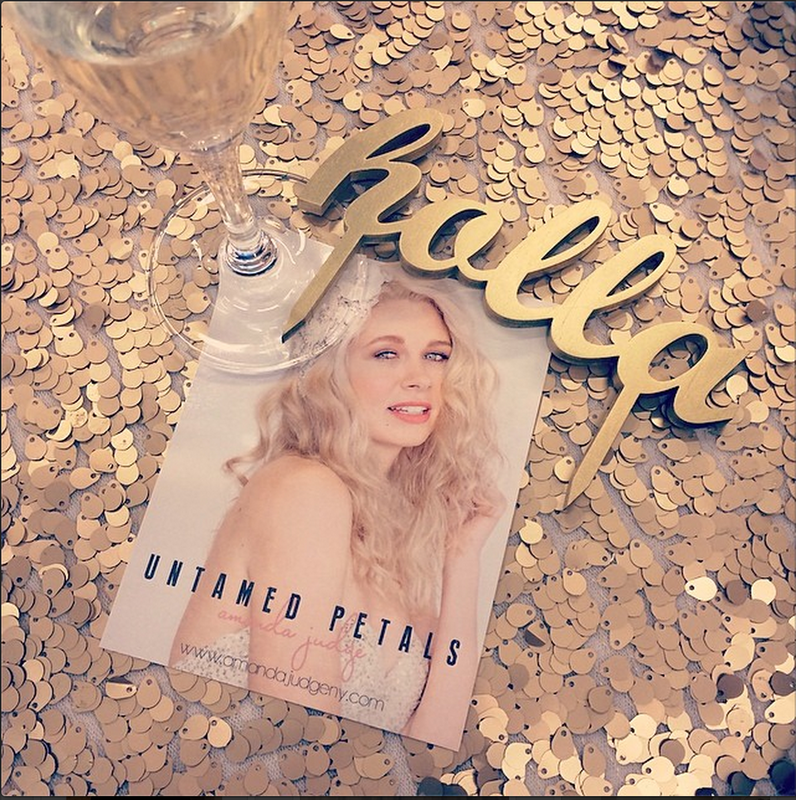 Untamed Petals is the perfect collection of bridal accessories that mix bohemian whimsy with a serious glam factor. All pieces are handmade in California by Amanda Judge, who has been helping brides find the perfect pieces to complete their bridal look since 2009. The collection includes everything from traditional bridal jewelry, to fashion-forward headpieces for the bride who is looking to make a statement. Check out this amazing collection at all a&bé locations and finish your look with the perfect touch of sparkle. Our Untamed Petals Jewelry collection starts at $115; veils/sashes ranging from $170 - $700. My design inspiration comes from so many different places - old movies, books and especially nature. I love researching different eras and then working to emulate the look and feel in a modern way through one of our pieces. I started my career at MTV in production management working on shows like Flavor Flav and Tila Tequila and I'm a major Cat lover! I'd say i'm a mix of J.Crew, Zara and Free People. On any given day you'll probably find me in a boho flowy dress with either a fun statement necklace or a fitted blazer to mix it up. My wedding dress of course :) I still put it on all the time and dance around the house - I loved wearing it so much and it always brings me back. My husband and I love to vacation! Right now we are most excited for our trip to Tokyo but if we could go back somewhere we've been I'd say Santorini. When I started to get LOTS of requests for White and Ivory when I had just started out making headbands. Brides found me and encouraged me to go in that direction. Halle Berry - she could definitely rock a headband! The Fault in our Stars - sooo good! Don't be afraid to show off your own personal style!